2009 CMA Awards nominations were announced today (September 11) on Good Morning America and CMT Insider. George Strait, Kenny Chesney, Keith Urban, Brad Paisley, and Taylor Swift are nominated for Entertainer of the Year. Paisley leads the pack with seven nominations. The 43rd Annual CMA Awards will be broadcast live from the Sommet Center in Nashville Wednesday, Nov. 11 (8:00-11:00 PM ET/delayed PT) on ABC. 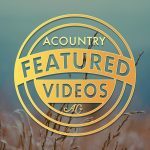 For the fourth year, the announcement of the final nominees in five of the 12 CMA Awards categories was made on ABC News’ “Good Morning America.” Darius Rucker and Lee Ann Womack delivered the news from the “Good Morning America” studios in the heart of New York City’s Times Square. 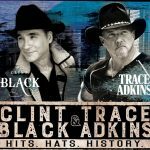 The remaining categories were announced by Randy Houser on “Insider Special Edition: 2009 CMA Awards Nominations” live from CMT’s network studios in Nashville, hosted by CMT personalities Cody Alan and Alecia Davis. At the conclusion of the announcements, Paisley led the list of finalists with six nominations. Paisley was nominated for Entertainer; Male Vocalist; Album for American Saturday Night, which was produced by Frank Rogers and Chris DuBois; Single and Song for “Then” (DuBois and Ashley Gorley are also nominated as songwriters); and Music Video for “Start a Band” with Keith Urban, which was directed by Jim Shea. Urban, along with Jamey Johnson, George Strait, Taylor Swift, and Zac Brown (frontman of the Zac Brown Band), each received four nominations. 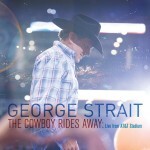 George Strait received nominations for Entertainer; Male Vocalist; Music Video for “Troubadour” directed by Trey Fanjoy; and Musical Event with Lee Ann Womack for “Everything But Quits” (a category they won in 2005 with “Good News, Bad News”). 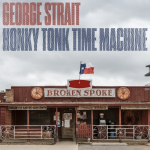 Strait now has 79 career CMA Awards nominations, which ties him with Alan Jackson for the most nominations to date. He leads the trophy count with 22. Taylor Swift has four nominations including her first for Entertainer of the Year. The last time a solo female artist was nominated for Entertainer of the Year was Faith Hill in 2000. Shania Twain was the last female artist to claim the trophy in 1999. Swift, who won the Horizon Award in 2007, is also nominated for Female Vocalist (she received her first nomination in the category in 2008); and Music Video for “Love Story,” which was directed by Trey Fanjoy. In another first for the 19-year-old artist, she is nominated for Album of the Year for Fearless. Swift may also receive a second trophy for producing Fearless with Nathan Chapman. Keith Urban’s nominations include Entertainer; Male Vocalist; Music Video for “Start a Band” with Paisley; and Album of the Year for Defying Gravity. Urban is eligible to win a second trophy in the Album category for producing Defying Gravity with Dann Huff. Huff is also a nominee for Musician of the Year. Jamey Johnson’s list of nominations includes New Artist; Single and Song for “In Color” (which Johnson co-wrote with Lee Thomas Miller and James Otto); and Album of the Year for That Lonesome Song, which was produced by The Kent Hardly Playboys. These are Johnson’s first artist nominations. In 2007, as a songwriter he won Song of the Year for George Strait’s “Give It Away,” which he co-wrote with Bill Anderson and Buddy Cannon. A powerhouse in the Entertainer of the Year category, Kenny Chesney has won the trophy in 2004, 2006, 2007, and 2008, which ties him with Garth Brooks for the most wins in the category. 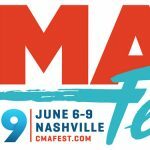 Chesney is nominated again in 2009, in addition to nods for Male Vocalist and Musical Event with Mac McAnally for “Down the Road.” McAnally is also nominated for Musician of the Year along with Eddie Bayers, Paul Franklin, and Brent Mason. Darius Rucker wasn’t only handing out the good news today, he was a recipient. The lead vocalist and songwriter for the pop group Hootie & The Blowfish, received his first CMA Awards nominations as a solo Country artist in 2009 for New Artist and Male Vocalist of the Year. He performed on the 2008 CMA Awards. After winning Female Vocalist of the Year in 2006, 2007, and 2008, Carrie Underwood is back in 2009 with two nominations for Female Vocalist and Musical Event for “I Told You So,” featuring Randy Travis. Travis picked up a second nomination for Song of the Year, for writing “I Told You So.” Travis’ version of the hit song was nominated for Single and Song of the Year in 1988. If Underwood wins the Female Vocalist trophy again, it will tie her with Martina McBride (1999, 2002-2004) and Reba McEntire (1984-1987) for most wins in this category. McBride and McEntire are each nominated in the Female Vocalist category in 2009. Miranda Lambert is also a Female Vocalist nominee. 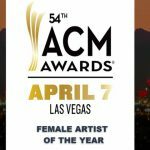 McEntire scored a second nomination for her performance with Brooks & Dunn on “Cowgirl’s Don’t Cry” for Musical Event of the Year. In doing so, she retains her position as the female artist with the highest number of nominations in the 43-year history of the CMA Awards with 48. Brooks & Dunn have been presented 19 trophies during their career. In 2009, Brooks & Dunn have nomination for Musical Event with McEntire for “Cowgirls Don’t Cry” and are nominated for Vocal Duo, a category they have won a record 14 times. The reigning Vocal Duo crown is in Sugarland’s hands. The duo was nominated in the category again in 2009 and also picked up a nomination for Album of the Year for Love on the Inside. Kristian Bush and Jennifer Nettles may also win an additional trophy each for producing the album with Byron Gallimore. A new entry in the Vocal Duo of the Year category this year is Joey + Rory. Also nominated are Big & Rich and Montgomery Gentry. Until 2008, there was a long dry spell for the Eagles between nominations for Vocal Group of the Year (1976, 1977, 2008) but they are back in 2009. 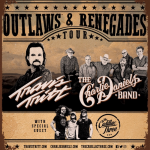 The Zac Brown Band is the new addition to the category along with returning nominees Lady Antebellum, Little Big Town, and Rascal Flatts, who have swept the Vocal Group of the Year category the past six years. Reigning New Artist of the Year Lady Antebellum received a second nomination for Single of the Year for “I Run To You,” which was produced by Victoria Shaw and Paul Worley. Artists making their debut in the New Artist of the Year category (formerly the Horizon Award) include Randy Houser, Jamey Johnson, Jake Owen, Darius Rucker, and the Zac Brown Band. Artists can only be included in this category two times. Making their debut in the Musical Event category are The Raconteurs with Ricky Skaggs and Ashley Monroe for “Old Enough.” Raconteurs’ frontman Jack White, of The White Stripes and The Dead Weather, is no stranger to the format as the producer of Loretta Lynn’s critically hailed album Van Lear Rose. Skaggs received his last nomination in this category in 1999 for “Same Old Train,” which included a veritable who’s who of Country stars. 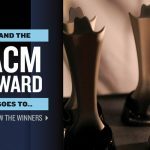 Winners of “The 43rd Annual CMA Awards” will be determined in a final round of voting by eligible voting members of the Country Music Association. CMA Awards balloting is officiated by the international accounting firm of Deloitte & Touche LLP.